Singapore Holiday Calendar for 2015, 2016, 2017, 2018 and 2019, including national holidays and observances & events of interest in Singapore. - DAILY NOTES. 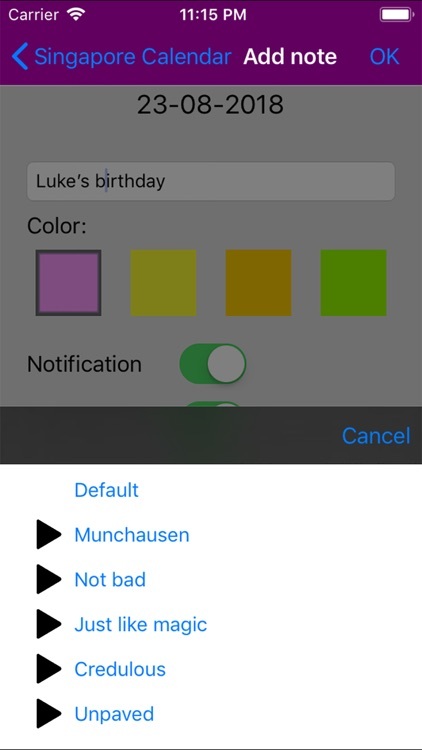 Write your notes, choosing a background color (among 4 available) for its identification. You can edit or remove them every time you need. - ANUAL NOTES. Mark birthdays, anniversaries... and with this option they will be marked for every year. 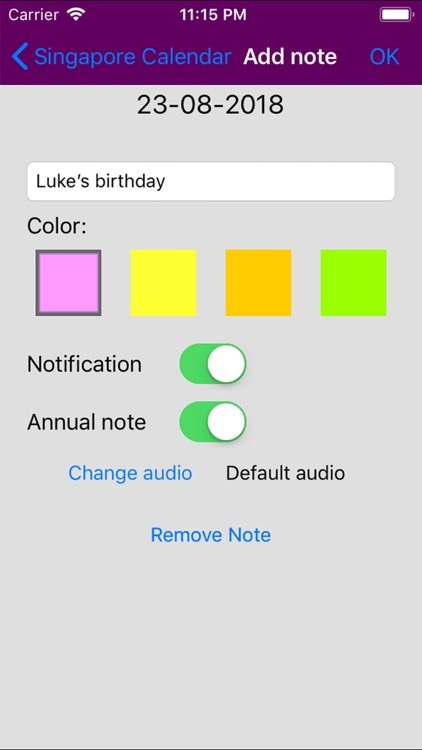 Like the daily notes, you can identify them with a background color and edit or remove them every time you need, or even convert them to a daily note. - MULTIDAY NOTES. 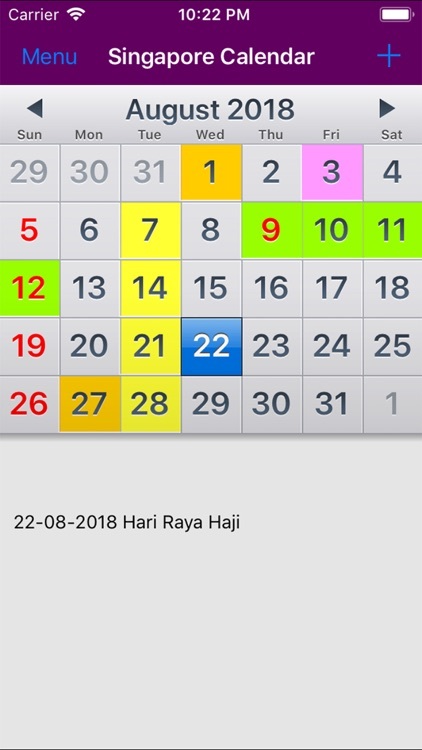 You can select some days at once, so you can include the same daily note for all of them, and identify them as usual with the color you want. - NOTIFICATIONS. 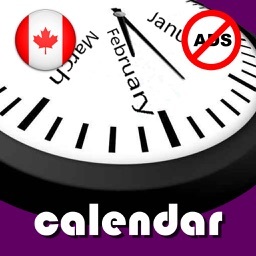 Set a notification on the noted event and get an alarm at the time you choose. Also, you can modify the ringtone of the scheduled notification or use customized tones according to your preferences. - NOTES SUMMARY. 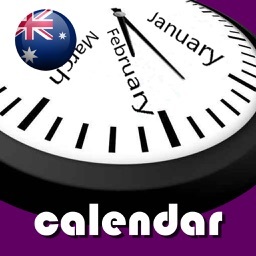 Check a list of every note you wrote in the calendar. - ANUAL SUMMARY. 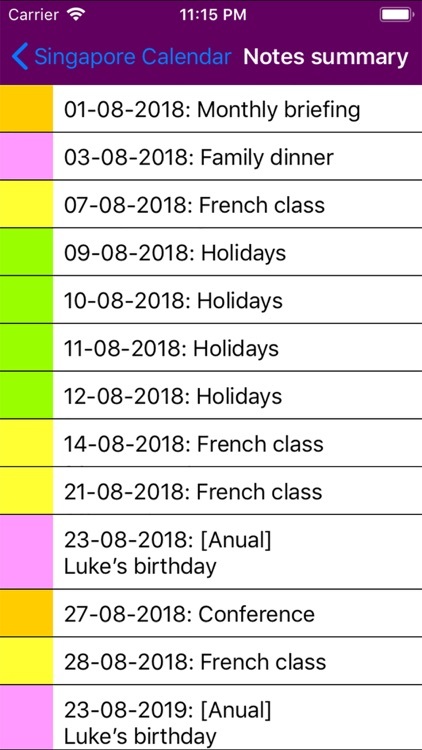 Check on an easy and fast way the twelve years of the current year, with each holiday and attached notes. - SHOW / NOT SHOW OBSERVANCES. 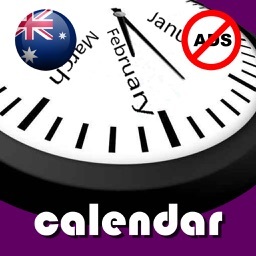 You can choose to show or not show observances in the calendar (days indicated in green). - WEEK START DAY CHANGE. You can change the day the week starts, Monday or Sunday. - SAVE DATA ON ICLOUD. 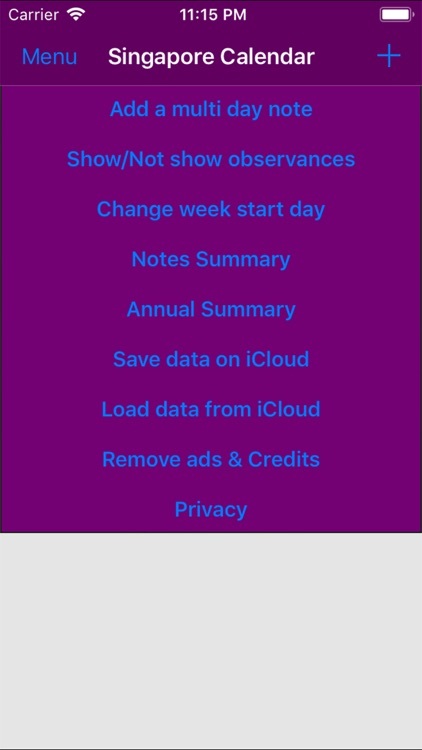 Save on iCloud a backup of all your saved notes in the calendar. - LOAD DATA FROM ICLOUD. Get your previously saved backup from iCloud. 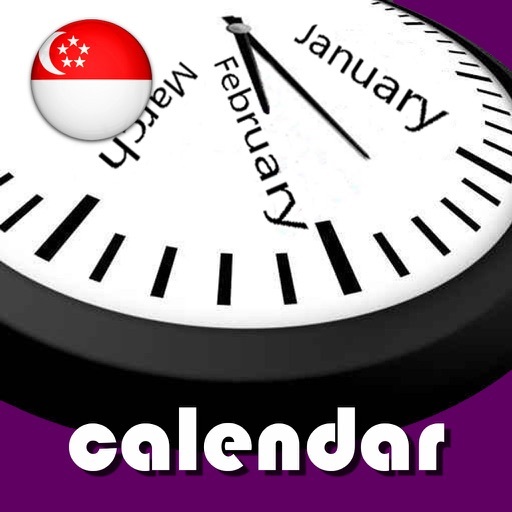 This calendar will be updated annually with the inclusion of new holidays and observances in Singapore. Please e-mail us if you have any comments our doubts. 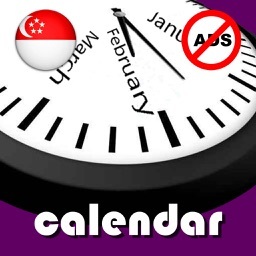 Clicking ads, you help keeping apps like this for free. Thank you for the support. 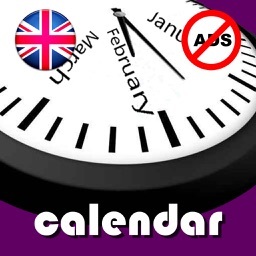 There is an AdFree version of this application for the minimum price.